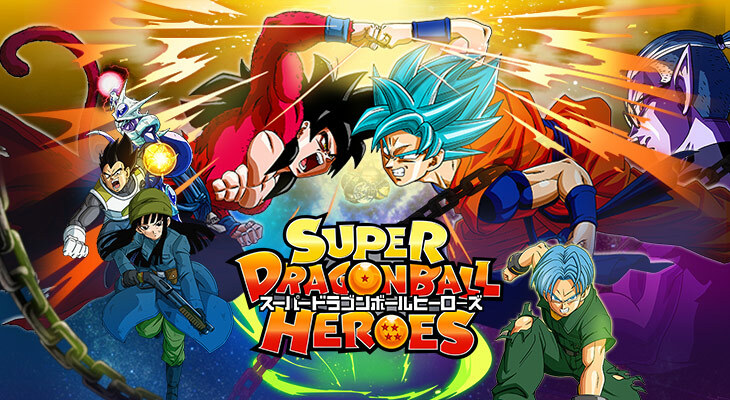 The announcement for the New Dragon Ball Heroes came out on May 17th and ever since every fan is wanting to know more and more about the next anime series. So, the first episode of the upcoming series will air in July and as per the preview of the first episode, we might see Super Saiyan Blue going up against Super Saiyan 4. So, things will be intense right from the start and there is a lot to look forward to. Dragon Ball GT vs Dragon Ball Super! Super Saiyan 4 vs Super Saiyan Blue Goku is going to take place in the first episode of the New Dragon Ball Heroes where Fu captures Trunks and takes them to the PRISON PLANET and thus begins the PRISON PLANET ARC in Dragon Ball Heroes. The upcoming anime will be promoting the game and we will see the Prison Planet arc and the Universal Survival Saga in the upcoming series. There will be so much happening in the upcoming series as we will see Super Saiyan 4 vs Super Saiyan Blue which is the most exciting part of the series. Fans would love to see which Saiyan will emerge victoriously and who will be on the right side? Other than that famous characters like Vegeta, Future Trunks, Future Mai, Fu, Goku: Xeno, Cooler and the much anticipated Evil Saiyan will be seen too. Fu and Evil Saiyans are the two characters which will catch a lot of eyeballs as they are new to the series. Fu although has appeared in the video game and he appears to be a friend of Trunks. Also, Fu imprisons Future Trunks and that’s how the Prison Planet Arc starts. What Is The Central Story of The Series? So, how everything starts and how will the Prison Planet arc start? According to the translation of the synopsis provided on the official website will give you a better idea of the story and what is about to come in the New Dragon Ball Heroes series. Trunks returns from the future to train with Goku and Vegeta. However, he abruptly vanishes. The mysterious man “Fu” suddenly appears, telling them that Trunks has been locked up on the “Prison Planet”, a mysterious facility in an unknown location between universes. The group searches for the Dragon Balls to free Trunks, but an unending super battle awaits them! Will Goku and the others manage to rescue Trunks and escape the Prison Planet? Is Dragon Ball Heroes Canon Or Not? Well, the question that is striking the mind of every fan is the New Dragon Ball Heroes Canon or Not? Well, most probably the answer is not and the real reason would be THE MANGA. As the upcoming series is not related to Manga and in fact it is an adaptation of the arcade card game. So, there is a strong possibility that the anime series will not be canon. So, what do you think of the upcoming Dragon Ball series? Let us know in the comment section. Previous Post« Previous Nihilism: Is there a meaning to life?